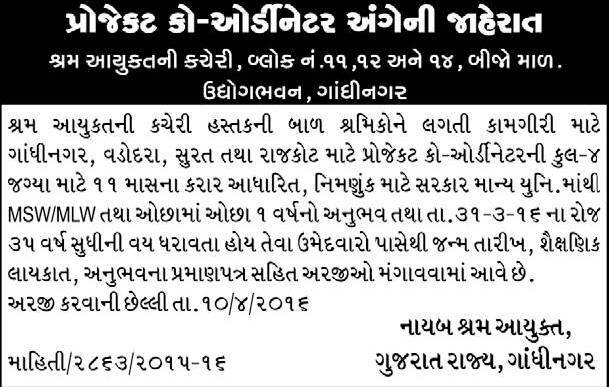 Labour & Employment Department, Gujarat Recruitment For Project Coordinator . More Details In Below . How to Apply: Interested candidates will be Send Their along with all attested copy of relevant documents/certificates & passport size photograph to given below address.